The historic 124 acre Napanook vineyard is located in Yountville, mid-Napa Valley. Lying just west of Highway 29 at the foot of the Mayacamas range, it is the original ranch where George Yount planted the Napa’s first vines. More recently, it was one of the three vineyards from which the great Inglenook was made. Christian Moueix (of Pomerol fame) became a part owner in 1982 and full owner in 1995. 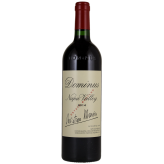 He began producing Dominus with the 1983 vintage. The wine is made from Cabernet Sauvignon with small amounts of Merlot, Cabernet Franc and Petit Verdot. It has now obtained worldwide recognition. Californian by birth, with its opulence, spiciness and rich fruit, it clearly references Bordeaux with its emphasis on elegance and refinement. 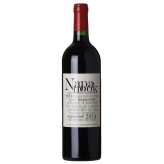 Since the 1996 vintage, Napanook has been the second wine of Dominus.